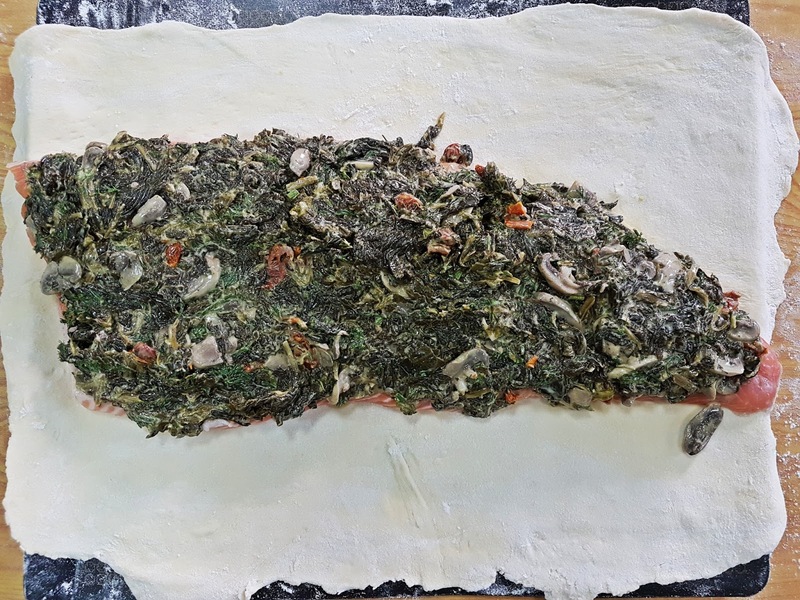 This salmon baked in a crusty pastry is a fancy way of serving something so simple. 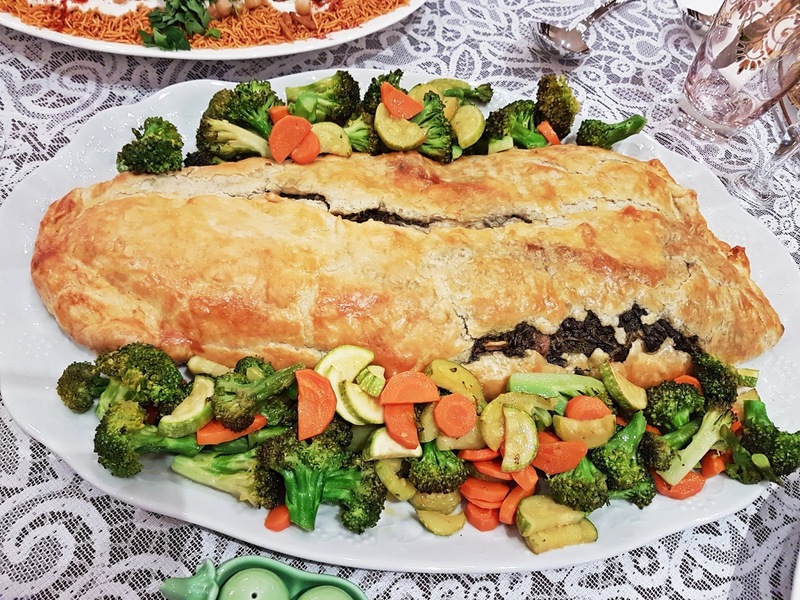 I used a giant one kilo fillet to serve 6 to 8 people, but it is just as easy to replicate to made individually sized portions. 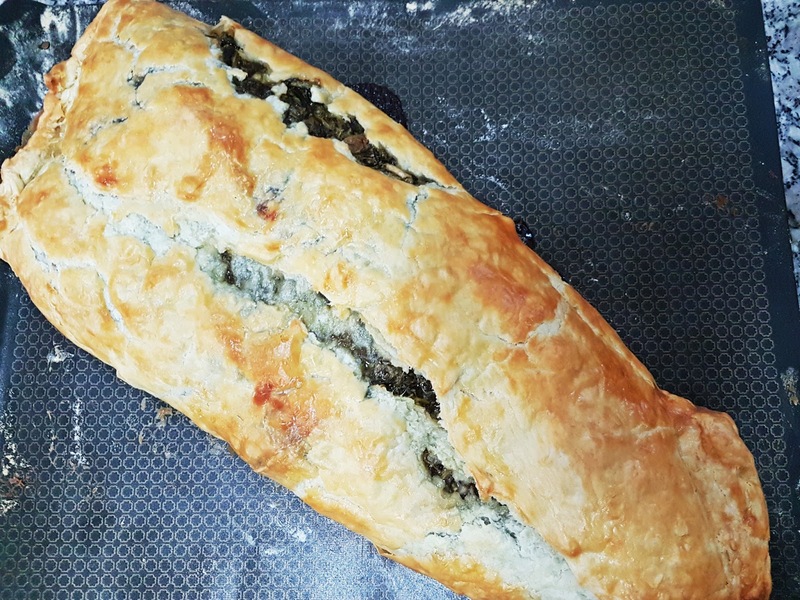 A simple spinach sauce of sorts is slathered over the fillet before being wrapped like a gift with the pastry and sent off to the oven. 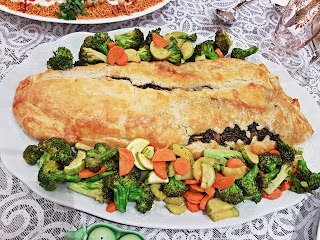 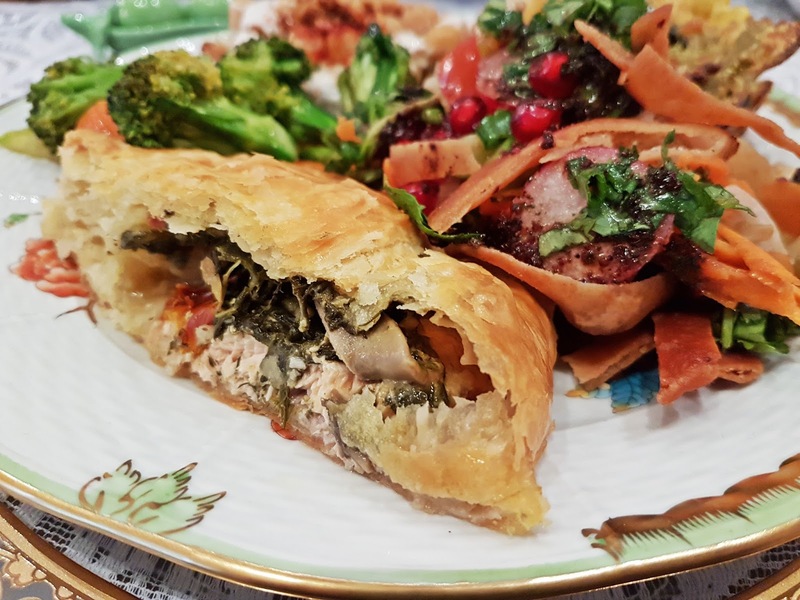 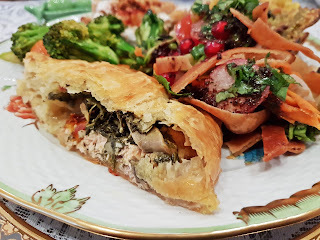 The crusty, flaky, buttery pastry lends the salmon an extra-special look and feel, which, when flanked left and right with bundles of colorful sauteed vegetables, makes for one festive meal. 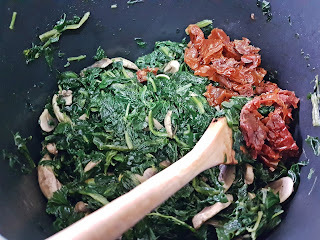 Saute the spinach, dill, and mushroom in a couple tablespoons of oil until wilted and most of the water has evaporated. 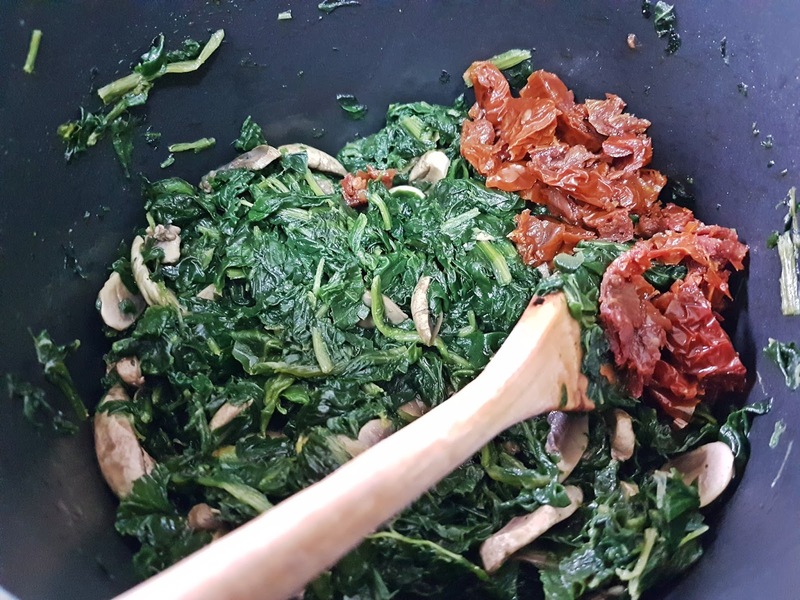 Remove from heat and stir in the chopped dried tomato, salt, pepper, mayonnaise, mustard, and lemon juice. Set aside to cool completely. 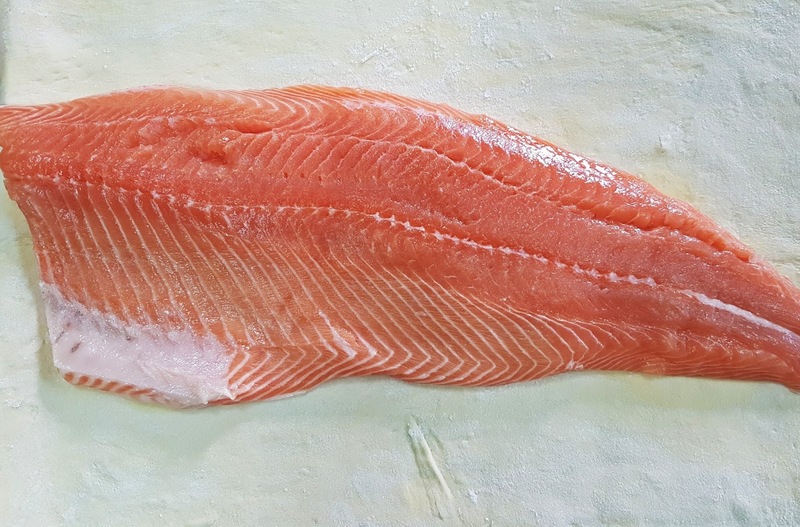 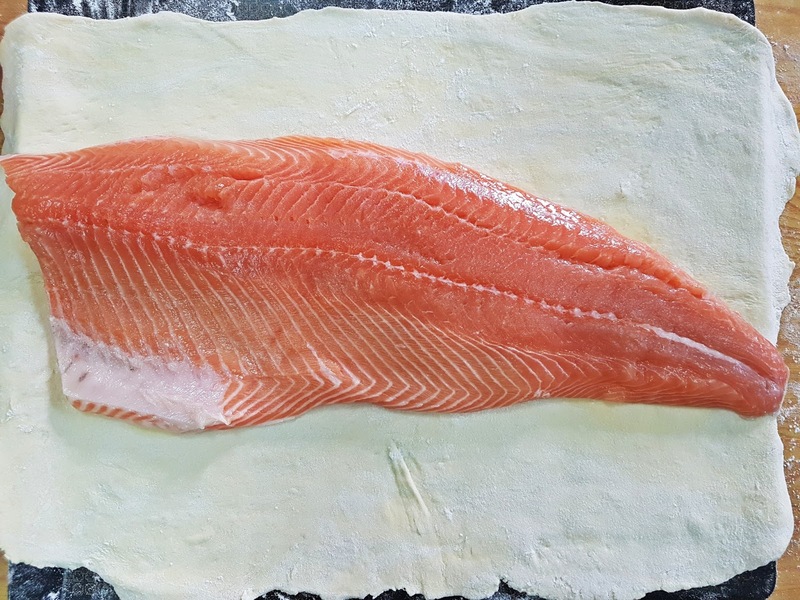 Lay a sheet of puff pastry on a baking sheet, and place the salmon fillet in the middle. 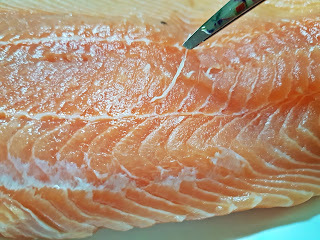 (ensure the fillet is skinless and has been plucked of any bones). 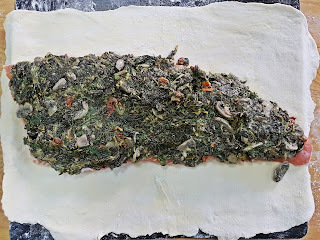 Slather the cooled spinach mixture over the surface of the salmon, then place another sheet of pastry over, trim to within an inch in excess, and seal the sides completely. 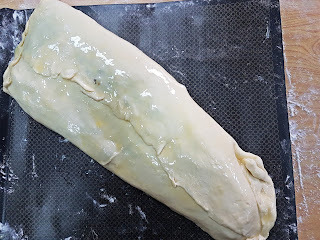 Brush the surface with egg wash.
Bake in the preheated oven for about 40-45 minutes, until puffed and golden. 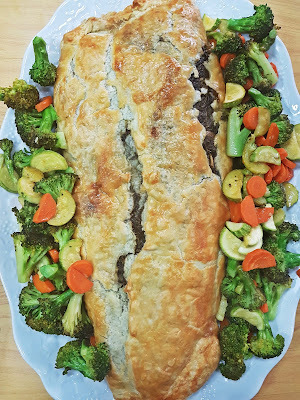 Allow to rest at room temperature for 10 minutes before serving alongside some colorful sauteed vegetables.